North Korea's Supreme Leader Kim Jong-un reportedly 'purged' his personal photographer, referred to only as 'Ri,' after he violated two rules related to photographing the dictator and briefly blocked a crowd's view of him. In addition to being fired from his role as photographer, Ri was allegedly banned from the Workers' Party of Korea. News of the event first surfaced from Daily NK, a Seoul-based news website from Unification Media Group. 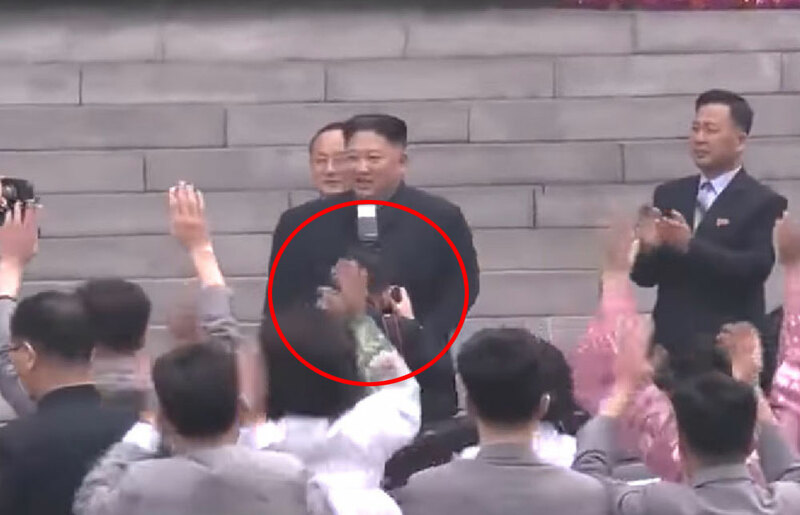 The report claims Ri was punished for causing damage to Kim Jong-un's 'Supreme Dignity' while photographing him on March 10 in the No. 10 election district. Then fire the Limousine and it's driver as well. Must have been a Fuji shooter. Sony got hacked slim guessing no on any of them but Samsung. Well, better be fired than face a firing squad ... which is a very real possibility in NK. BTW, "he" was born on 1926, and never thought "he" "damage[d] to Supreme Dignity" at age 92. How this arrogant photographer could even have thought about shooting this Great Dictator with a camera is beyond me: it is the light of the North Korea, brighter than the sun itself, so gorgeous that sensors are known to melt and AI-focus/exposure system to fall in love instantly! Can we file this under "Who Cares?" @psedo - my, what great compassion you have for your fellow humans. No, it is not socialism-communism. It may call itself a socialist state but is in fact a totalitarian dictatorship. Not that much different from fascist regimes. They do not use anti aircraft gun any more b/c NK needs to save bullets as it is under increasing sanction by US. "North Korea defector says prisoners fed to dogs.."
This is not the real reason for fireing him. The true story is the photographer made a stupid mistake. 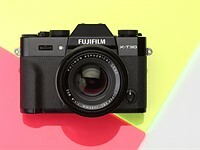 He set his camera to ISO 51.000 and apperture to f22. Kim Jong noticed that and had to stop this nonsense. "ISO 51.000" is too hard for the best cameras, but it is more than ok if he uses Huawei P30 as per Huawei , P30 has "maximum ISO of 409,600 and the capability to capture well-exposed images in near darkness". Both photographer could be ended dead. So why he went to Xinjiang? Ri thanked his lucky stars he left the Gary Fong lightsphere at home, otherwise he wouldn’t be breathing today. if the news wide spread too much, he will no longer allow to breathe. OK, now...let me get this straight. Ri is an "art film studio" employee, farmed out to photograph the Head Cheese. So much for artistic expression, huh?! It's not too different from the US, where presidents employ their personal presidential photographer to document their terms of office. 'Artistic expression' is only as much part of that job description as an acting president wants it to. What camera was he using? Sputnik News has reported that, "The South Korean media outlet has speculated that the incident happened due to the photographer's strong devotion and enthusiasm for the job." If Sputnik News said that, it must be Pravda. > If Sputnik News said that, it must be Pravda. Probably over exuberant photographing such a handsome deity. damnit I bet you could take some mean close-up ultra wide angle portraits of this guy. Any photo taken of this Being is going to resemble a distorted fish-eye. Isn't it rather undignified to fire people over such minor things? his history tends to executing such people, so firing is vastly more dignified for everyone. The question is whether such human resources issues are handled by a hiring / firing committee, or by a firing squad. Post removed. It posted under the wrong comment. And people say that flash isn't harmful, I bet Ri doesn't agree! He’s in North Korea... as if he even had anything remotely close to that? I get it, but it’s a bad joke because the quality of life in NK is 3rd world. Did he just 'fire' him or did he send him to he firing squad? When they said: "fired Ri because of the 'damages' it caused to Kim's 'Supreme Dignity.' That makes no sense, because Kim has no dignity, he is a liar and has killed too many people, and put many more in poverty with his ambitions of making North Korea a nuclear power. What do you expect from communist leaders. Barmy bugger's completely off his chump. I'm not understanding your banter. Top hole. Bally Jerry pranged his kite right in the how's your father. Hairy blighter, dicky-birdied, feathered back on his Sammy, took a waspy, flipped over on his Betty Harper's and caught his can in the Bertie. UMG is a southkorean propaganda unit. They comment on everything the northkorean propaganda unit does. They live in their own bubble. Not really newsworthy theater. A new famine is threatening NK. That is newsworthy. Bit unfair. Poor bugger probably only has a Holga Diana, so he needs a flash permanently affixed. The man out in front of the tanks! It's not communist, it's a dictatorship. Pretty sure wedding photographers meet little Uns calling themselves brides. No, they usually refer to themselves as Reverend or Innkeeper. But all is not lost, he was also sent for some re-training. He'll be much better when he comes back! We are ALL being brainwashed. Some people are brainwashed about how much we are all brainwashed. We shouldn‘t treat North Korea as a country whose internal affairs are noteworthy. Excellent POV except, can we igniter the human rights violations or the murders on foreign soil? I'm with you, I want to isolate the disgusting sloth but I don't think that will change the world for the better. Well, at least he didn't shove another world leader out of the way to get in the front of a photo op. That woman in pink with raised arms no longer has arms. Meh...the gig probably didn't pay much anyway. Yes, it does ! That photographer will have no more one gig probably neither will he have 500mb. Obviously not a pro photographer. @Mariano - it was set up as a joke. Unlike the whiners on some Internet fora, even the North Koreans understand what a /proper/ dual card slot configuration is, when failure is not an option. I think the 'tog needs better eq, so no flash would be needed. This was outside and not some hokey arena. Duh! We don't know, he may be in Siberia already :>). Facial surgery is cheap in Korea, that's how they win beauty pageants (I'm not kidding, check it out). They hide the records and claim their fake plastic face as 'real' which is a shame because some Korean women are naturally beautiful but they don't get the credit for it. Korea has the highest plastic surgery per capita in the world. @soundknight21: South, North, or both Koreas? I love those little elf cannons, they're so cute. I bet they smashed his camera. I agree with Kim. How could you get enough bokeh that close. The photographer should have been using a 400mm f/2.8 from a respectful distance. My recommended punishment, should Kim need any assistance, is for the photographer's portfolio be placed on DPReview for comments. He may like this suggestion for two reasons 1. that the site starts with DPR (we are slightly less democratic) and 2. whatever dignity the photographer had will shredded by the torrent of negative comments. Shot him wrongly. Supreme Dignities deserve being shot better. Or at least more permanently. And his entire family. Sadly we are not joking.